When the history of India’s crafts and textiles is written, it will speak of treasures that once occupied a pride of place in the lives of royalty. These are today lost in the annals of time, fighting to survive the dynamics of the contemporary marketplace. However, there is a breed of revivalists and designers who are celebrating languishing textiles and crafts through contemporary interpretations that awaken us to their threatened survival. Their work is a testament to the reality that even if a handful of connoisseurs come together, these looms will not fall silent. Himroo fabric is made of silk and cotton and this weave of paisleys was brought to Aurangabad during the reign of Mohammad Tughlaq, when he moved his capital from Delhi to Daulatabad, Aurangabad. The term himroo originated from the Persian word ‘Hum-ruh’, meaning ‘similar’ and is a replication of Kum-khwab, a rich textured fabric woven with golden and silver threads and meant for the royal families in olden days. Suraiya Hasan has been credited with single-handedly reviving Persian brocades, most significantly the Mashru, Himroo, Jamavar and Paithani. 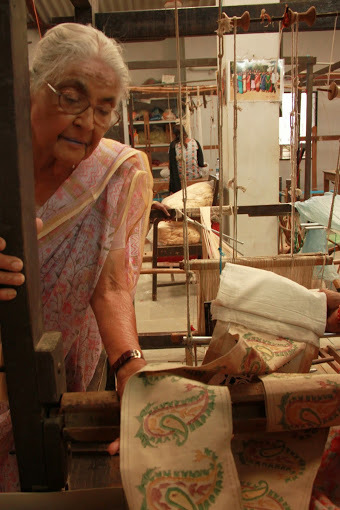 She set up a weaving unit in 1985 in Aurangabad with two retired weavers and one loom. Slowly, she started employing widows as the men didn’t want to leave their homes to work in a small village. In her effort to resurrect forgotten weaves, Suraiya Hasan also set up a loom for Telia Rumal, an oil-coated fabric that was highly prized in ancient Hyderabad. Today there are very few remaining weavers of the Telia Rumal and Suraiya Hasan’s work in this craft has been a significant step in reviving it. 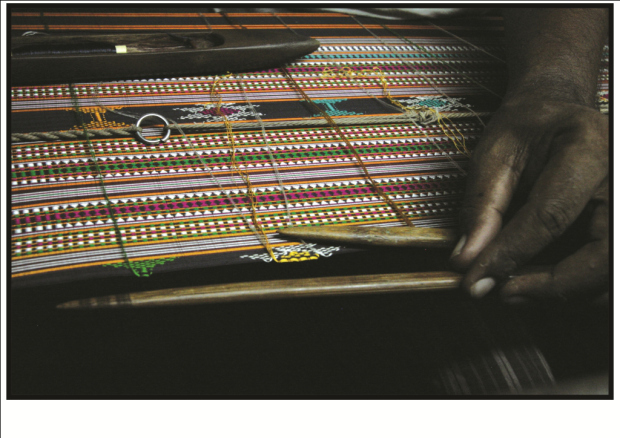 She, alongwith other weaver co-operatives like Chenetha, are reviving this rare textile. The nomadic looms of Kutch have woven camel, goat, and sheep wool rugs in the traditional form for years. Carrying motifs from the nomadic life of weaver-tribesmen, these rugs are dyed with natural dyes and can last up to 100 years. Only two families are today practising this rich craft of kharad rug weaving, which historically enjoyed royal patronage from Kings and Ministers of Sindh and Gujarat. While several members of the tribe carry the knowledge of this wonderful craft, the lack of due appreciation in the marketplace has forced them into alternative means of livelihood. Khamir works with these artisans and is facilitating market linkages to connect the artisans to various entrepreneurs. A rare collectors’ textile, women of the Dongria Kondh community, a hill tribe in Odisha, embroider their creation myth of Niyamraja on thick handwoven cotton shawls in bright vivid colors depicting their dongars (hills) and fields. They believe in giving back to nature as much as they take from it. These shawls are usually made for their personal use and rarely sold outside the tribe. The Dhalapathar offered the most exquisite handwoven tapestries in cotton. Even 20 years ago every Odia household displayed Dhalapathars proudly. 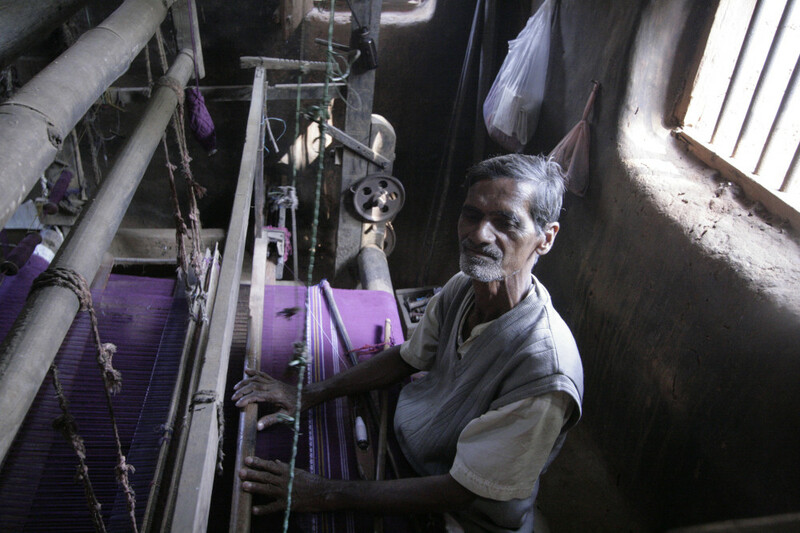 Today, there are only two weavers left in Odisha who have the knowledge of this rare weave. 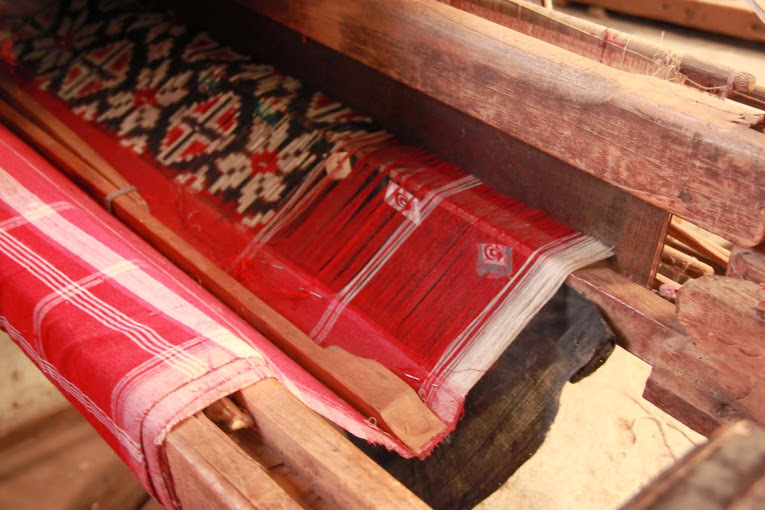 The Bomkai is woven on a basic pitloom and the weavers have inherited their colour and design sense from their ancestors who were inspired by their immediate environment. The weavers participate and dance in the annual Thakurani jatra which begins on the last Tuesday of the month of Chaitra. The male dancer in the red bomkai sari represents Durga and the one in black, Kalika. In addition to the above, Kotpad, a weavers’ cooperative society based in Koraput, Odisha, has been working with a near-extinct form of weaving that uses the ancient aal dye found in jungles here to create handspun textiles. Mashru thrived on the economic well-being of royal patrons of the society but suffered a loss of demand with the fall of the Indian Royals and the establishment of the British Empire. 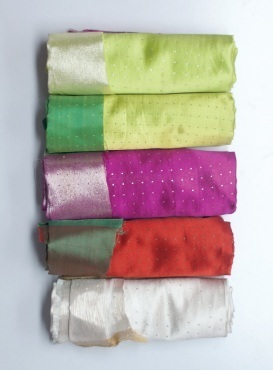 Consequently, pure silk was replaced by artificial silk only providing for the demand of the local communities of Gujarat. Today, brands like Khamir in Kutch and Delhi-based Raw Mango are celebrating mashru textiles and its lost glory, two centuries after it has become antiquated. Posted in Crafts, Revival, Textiles, traditional, Weaving and tagged Crafts, Loom, Revival, Textiles, Weaving. Bookmark the permalink. How to get the perfect glow this Monsoon!